To transcribe, in full plain text, all of Cooper's video lectures in an effort to educate the public with regards to his life's research into the shadow government, alien agenda, and more. We exist, here at Aliendisc, to expose government corruption and shine a light upon the shadows it resides. We are dusting the old shelves, so to speak, and archiving long lost information that has since been buried and suppressed. I must admit that we as a group way back many years ago, had our share of 'hidden truths' by the government. As mentioned, we had a an interaction with MI5. The dealings that we had were rather:- "Oh...just wondering. what you boys are doing"
These were back in the days of NUFOIS and BUFORA. We had a a bit of apathy back then, but I think now it is more empathetic? It is not really the governments fault...but the general public. The public influence public governments and the Home Office gets it's power from the people. The governments are literally all shadow when it comes to secrecy and they have cause to be. It is the global portrayal of each nation which is the influential factor towards trust and diplomacy. The main core of the problem is in the inner circles of government manipulation. The greater field of top level officials are probably just as ill informed as the majority of the public. They have a duty to perform and and need public support to govern their power. Society is multi cultural and had been like that for many years. You literally cannot break public circles of communal fellowship. To do so would bring anarchy and revolt. Not just by the people but by the financial share index. Currency would plummet and government lack of faith would also see a revolt. I have seen a lot of changes in my time on the UFO scene. Back in my days it was intriguing and adventurous. I have seen a new generation spring up, especially here. The old ways were better. There were more sensible people and minds were open. Here without trying to be rude, people are more bored and are looking for a drastic change in their belief system. A lot of hoaxing and influence by YouTube with very little to offer by their own standards. In general, I find this damaging to the subject because it labels it as a weirdo topic. No one wants to be associated with weirdos and we have a bad name. Our bad name is the weight which we all carry and condemned as crazy unless we can show that we are not. I spend most of my time trying to show that I am not crazy. The more you try the worse it becomes because you become an undesirable or none conformist. If you ever look up David Ike's forum, you can almost hear the stamping of military boots. David Ike is a revolutionary against society and his followers are generally many down and outs who have had their lives kicked out of them. Then you get the ones who will believe anything and 'hang about' on these spiritual forums looking for a fortune teller to give them hope in their failed love lives. They spend thousands of pounds and dollars on these 'telephone a psychic' They are not looking for the truth, but keep searching for one which will tell them what they are looking to hear! I have met a lot of famous UFO people in my time as I had been lucky. They make all your effort worth while. They literally have nothing what I can offer them. They are looking for 'the big names' like when I was invited to meet Jenny Randles in Manchester. She was okay until the famous astronomer Patrick Moore phoned her up, saying that he was going to sue for bringing up his name in her cranky UFO television interviews. But blow me Matt...she even knew about me, Frank and Peter Jackson from NUFOIS. Another influential guy that I recollect seeing was the famous Paul Devereux at one of Frank's organised events. back in the 1970s. I remember this swarf kind of looking guy...looking like The Goat of Menzies (hope he is not looking in ...lol) entering the meeting. Then Frank saying:- "This is PAUL DEVEREUX!" Then he was buzzing round him like a fly. Well it got him featured in Ley Hunter quite often. I know I am going off a bit.....please forgive. Was at Dillon's book store looking for some engineering books for my exams and this guy was seated a few feet away on a desk looking at me as I was struggling to reach the top shelf. I turned to him and said:- "Many a fellow had fallen to sleep on that chair!" He looked me up and down as if what the blah blah blah have we here!" Then said:- "Go ask one of the assistants!" I am sure he was looking at me for inspiration for his next book? Even Dr Armen Victorian amazed me. He knew Dr Alan Hyneck. He 'opened up' with me but a lot of the time...you literally do not know who is keeping 'tabs on you'? UFOs/aliens can literally zoom into this forum and get into your head by thread. As I bet you there are also another twenty government officials who know you, just as much as they know me. You also realise that you may be putting yourself in danger by trying to expose these guys? Be careful. Give them a big enough headache and you do not know what they can do? Last edited by George; 03/18/2019 12:20 AM. I am glad that I am not the only one who understands this. There is a real force and we just do not know the extent of their investigations. 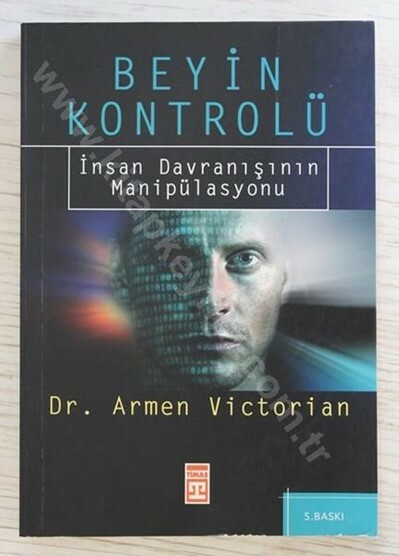 The most famous mind controller of all Armen Victorian was peeved one day, as he said to me that he was going to be killed. That was the very last time that I saw Armen.....as I had never heard of him again. Hope he was incorrect and that he just 'moved on'? Whatever the case, he was a mind reader and a great concern to the shadow government. He acted as an agent for the Brazilian government before writing books on mind control. His last book that he was working on (so he told me) was one on the paranormal and UFOs . It never got published. I will talk about Armen at some later stage in a separate report as Ia m sure he will not mind? Last edited by George; 03/18/2019 08:05 AM.